Finding aid only for Manuscripts Small Collection 1288. Letters of the Hay and Ferguson families, Butler County, Kentucky. Many are written by Rebecca (Hay) Gray to her Texas relatives concerning family matters. Includes data about the correspondents added by the typescripters, Tim K. Ferguson and Dorothy Olinger Range. 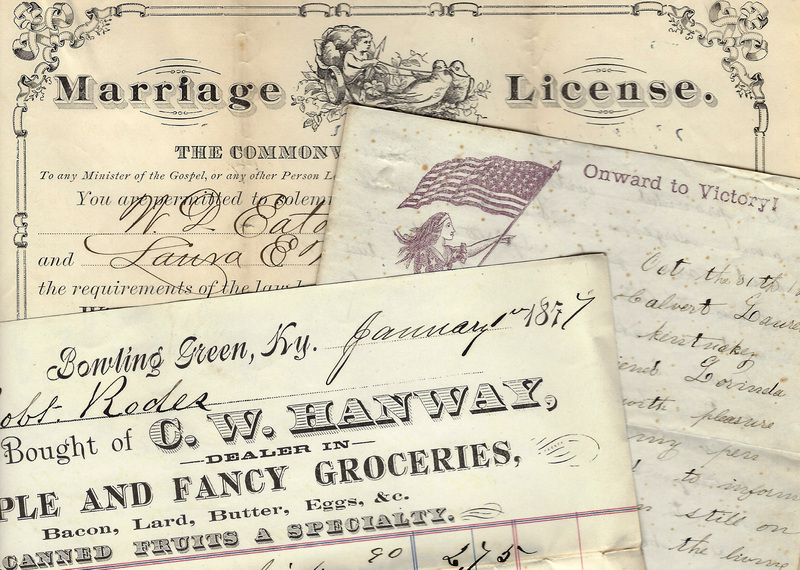 Folklife Archives, Manuscripts &, "Hay Family Letters (SC 1288)" (2013). MSS Finding Aids. Paper 3498.